COLLINGWOOD has picked up young Sydney defender Sam Murray. Sydney traded Murray, its fourth-round selection (No.70 at time of trade) and its future third-round selection to Collingwood for the Pies' future second-round selection. 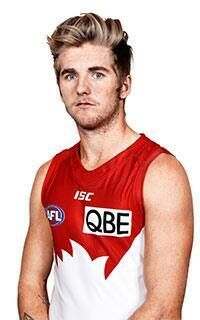 Murray has spent the past two seasons at the Swans, after being taken with pick No.66 at the 2015 NAB AFL Rookie Draft, but has not managed to play a senior game. He showed some glimpses of his talent in the NEAFL 2016 playing as a forward, but made significant improvements this season when moved into defence, where his speed and willingness to take the game on made him an important player under coach Rhyce Shaw. The 20-year-old made the 2017 NEAFL team of the year after averaging 22 possessions in his 18 games and helped the Swans to the Grand Final, where they were beaten by the Brisbane Lions.